Vatican author and scholar Professor George Demacopoulos talks about the pope stepping down. We've been talking about today is the last day of the privacy. 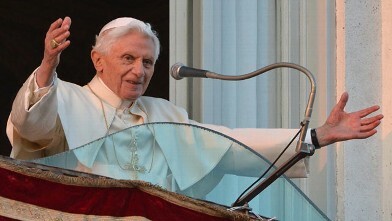 Of Pope Benedict and joining us this morning with insight on the resignation the pope's tenure and what's next is doctor George did a couple is associate professor at Fordham University. He's also the author of a timely book called. The invention of -- apostolic discourse and people authority in late antiquity. Thank you for joining us doctor we appreciated. Again to today is a big day for Roman Catholics around the world to say the least it's a very big day it's it's very much an unprecedented. -- cartels are used to having a mourning period before they have to elect the next -- this is quite unprecedented. What -- they do it. Well it's unprecedented in so many ways they just the idea of resignation. -- -- yes it's happened in the past. But every time it's happened with with one possible exception every time it's happened in the past that had been forced. This was obviously not only was this not forced this was a -- -- seen. And I believe the cardinals. We're largely caught off guard. And I suspect that that we have the possibility of the very long conclave. Only because. This was -- an unanticipated I mean yes he told -- right but very much -- -- Steve what's driving this or partisan health concerns here and that and that -- -- she mentions -- second ago but he is admittedly frail he's not up to the job longer she made a very. Personal and you describe it as a humble decision to step down. Absolutely I think it's an incredibly humble move Crimea public acknowledgment. Personal weakness and an ability. That -- is absolutely -- The number of public appearances they may be emotional the spiritual -- that the job takes you can understand commands 85 he realizes his own limits. And frequently there is a political element to at all -- -- all happens behind closed doors were not privy to what those discussions may be over the next few weeks here. But in terms of of what you think they made lean toward it will be someone that is conservative. Like -- oral lease only thinkable perhaps. It's -- more progress of the Roman Catholic Church is enormous it's over a billion people worldwide. Roman Catholic Church is a very big tent there are a lot of people. Who holds diverse theological and social views. That so still self identified as non Catholics that said of the 117. Or so. Cardinals who are going to elect the next -- There are not survivors. Today are all. Staunchly. -- in the line dog dramatically. They are. Almost all in line on the social issues and so the what when you talk about progressive or conservative by any debts but the sliding scale. And you know it may not slide that hit. There's not that much roomed with in that conflict -- -- -- -- essentially made perhaps someone younger perhaps a different part of the world less but. -- plea for more of the same. What does that tell us like really we really have no idea -- have -- -- and listen they don't have to choose one from among themselves they're not restricted to choosing another cardinal. We'll see how it plays out thank you so much remain with us we appreciate it. 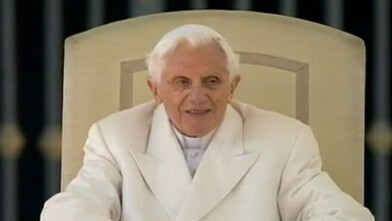 Benedict waves, tweets his way toward "last lap of his earthly journey." "Nightline's" Terry Moran and ABC's Christiane Amanpour describe the scene in Rome.